There are a number of problems with the studies and their conclusions. First off, only around 33% of the people in one study actually complied with the recommendations, even in a three-day trial. Other trials of sodium restriction showed no benefits or the level of evidence was lacking. While lowering sodium from the highs that the average American consumes is a good idea, what is missing when it comes to improving health outcomes? The answer is simple, it’s potassium. 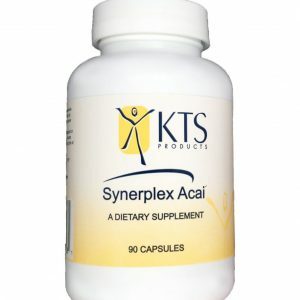 The recommended intake of potassium for an adult is 4,700 mgs per day. What the average American consumes is somewhere around 2640 mgs daily. The problem is not the intake of sodium per se, it is the terrible deficiency of potassium we take in. The average intake of sodium is 1,400 mgs above recommended levels but the deficiency in potassium intake is over 2,000 mgs! This creates a large imbalance which goes on and on over years, and decades. So how do we achieve a balance? Obviously, we need to cut back a little on the amount of sodium we ingest. Secondarily, we should increase the amount of potassium rich foods we eat like, baked potatoes (919 mgs each), bananas (362 mgs), raw carrots (320 mgs), broccoli (209 mgs) and spinach (268 mgs) to name a few. You could try coconut water which comes in between 470-540 mgs per 8 ounce serving but that comes with a warning. Too much potassium at one time can cause problems. Normally, our kidneys would clear out any excess potassium but some medications and people with kidney disease may not do that efficiently. Too much can may cause problems like muscle weakness or dangerous heart rhythms. The literature is clear about one thing, it is the balance of sodium and potassium that is important. 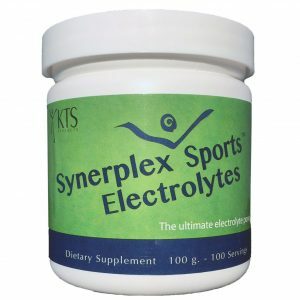 That is why our Synerplex Electrolytes™ are so beneficial. They present you with a 2-1 ratio of potassium over sodium, ideal in today’s world. 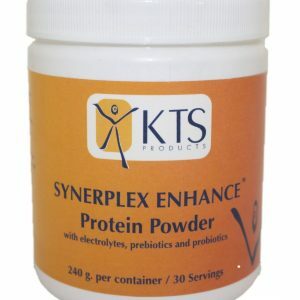 Not only that, but you get a balance of bicarbonates and chlorides, two important electrolytes. 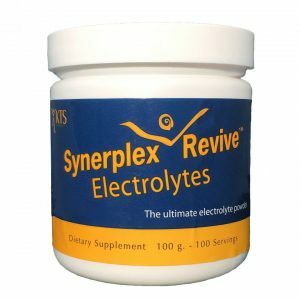 You would have to search far and wide to find any other electrolyte on the market, anywhere in the world to find anything close to Synerplex Electrolytes™. Bernstein AM, Willet WC. Trends in 24-h urinary sodium excretion in the United States. 1957-2003: a systematic review. Am J Clin Nutr. 2010;92:1172-1180. Lloyd-Jones DM, Hong Y, et al. Defining and setting national goals for cardiovascular health promotion and disease reduction: the American Heart Association’s strategic Impact Goal through 2020 and beyond. Circulation. 2010;121:586-613. Frediani J, Reilly C, Clark P, Gary R, Higgins M, Dunbar S. Quality and adequacy of ddietary intake in a southern urban heart failure population. J Cardiovasc Nurs. February 17 2012. doi: 10/1097/JCN, 0b013e318242279c. Gupta D, et al. Dietary sodium intake in heart failure. Circulation. 2012;126:479-485.